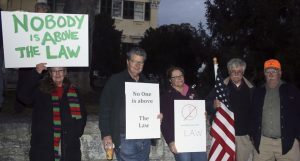 Residents gather to take part in a “rapid response” protest in Shepherdstown on Wednesday. 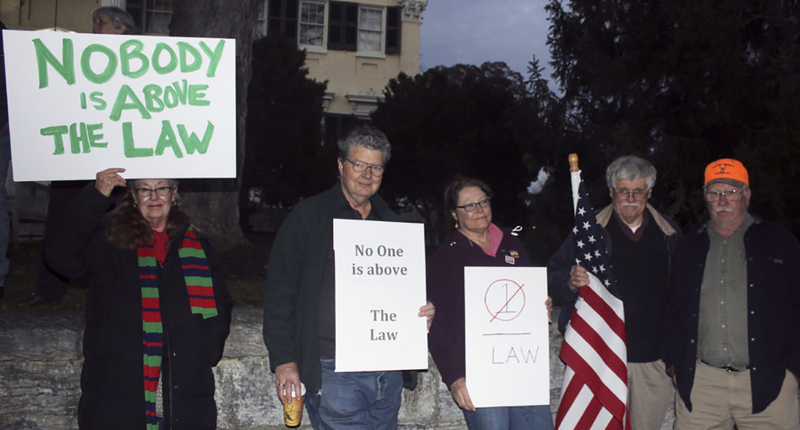 MARTINSBURG, W.Va. — Residents in Shepherdstown held a “rapid response protest” Thursday over concern of President Donald Trump interfering with special counsel Robert Mueller’s investigation into Russian meddling in the 2016 election. The protests, which were organized by activist group MoveOn took place across the country and in Canada. More than 900 cities joined in, according to officials with MoveOn.